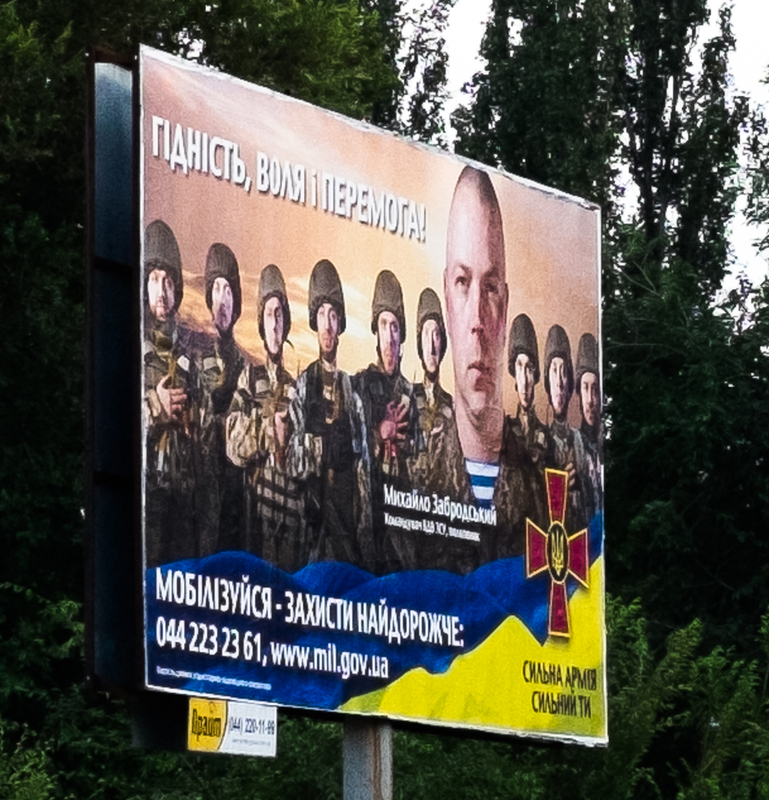 It cannot have escaped anyone’s notice that there is a war going on in the south eastern corner of Ukraine. There are at least two sides to the story, but one thing is clear; Russian and Ukrainian mothers and fathers are losing their children there. I stopped with my Ukrainian friends for an evening meal in a roadside restaurant. We were there with the family; young children, parents and grandparents. As we waited for the food to be served, it was obvious a party was just about to kick off! There were some very well turned-out young teenagers – quite clearly enjoying precisely the same exciting kind of end-of-term celebration with friends, that my own son had enjoyed about four years ago. What was different was that teachers AND parents were there too! After a bit of sign language, translation and stilting English – and even less Ukrainian, this group were happy to pose in the back up the pick-up! I’m struck by the sheer joy and optimism in the young faces, looking at them now. 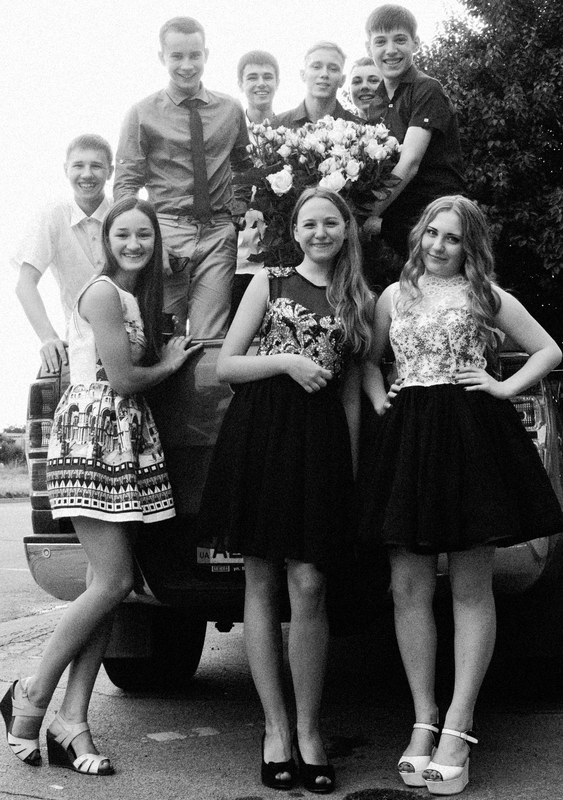 I quite like the black and white iteration of this image, because, apart from the clothes, the essence of youthful optimism and joy, is timeless, and will have been mirrored on faces of countless thousands of teenagers as they move onto the next stages in their lives – Russian and Ukrainian alike. I wish this group of young people all good wishes and hope for their futures, and thank them here for letting me take and publish their photographs. Immediately opposite the roadside restaurant, held loftily above the road level, was a large advertising poster. Even with my rudimentary grasp of the Cyrilic alphabet, and command of Ukrainian, I can get the message. There’s a patriotic duty to mobilise and fight the enemy, for the things we hold dear. This certainly wasn’t the only recruiting poster I saw, nor the only call to arms and for support to those fighting on the front; about 150 kilometres distant. I was struck by the contrast between the two scenes – and am troubled by the seeming inevitability that some of those bright, young, hopeful and intelligent young men and women, will be drawn into the conflict and will lose all their youthful vitality and ambitions in the brutalising conflict only a few kilometres away. And also possibly their lives. This entry was posted in Ukraine, war, youth and tagged leavers party, Ukraine, youth on 19/06/2015 by tim strang.